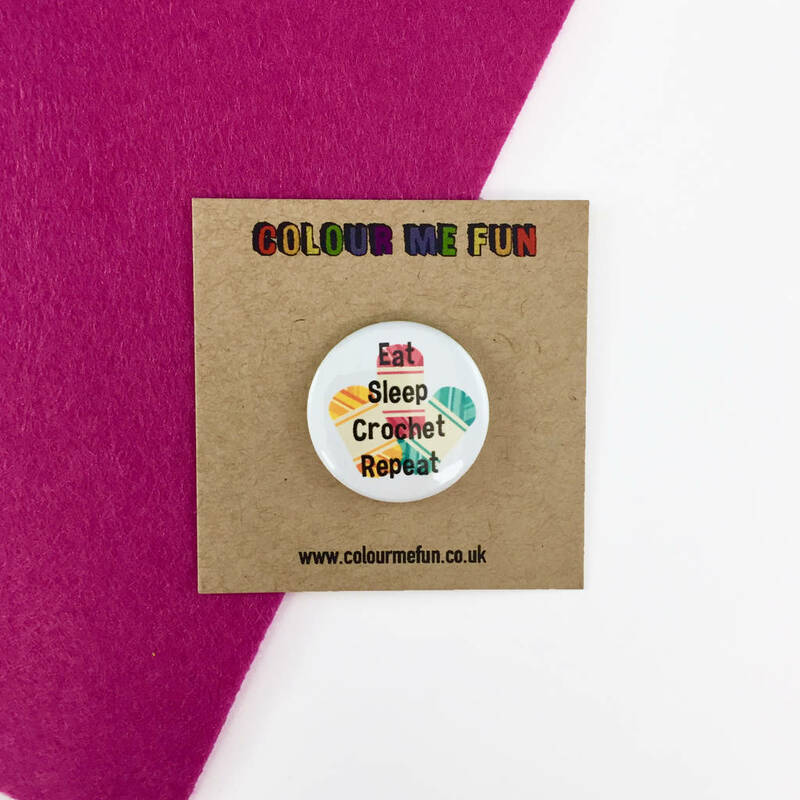 Our handmade crochet badges are made with the enthusiastic yarn lover in mind - a perfect gift for her! Share a little crochet humour with the friends in your life. 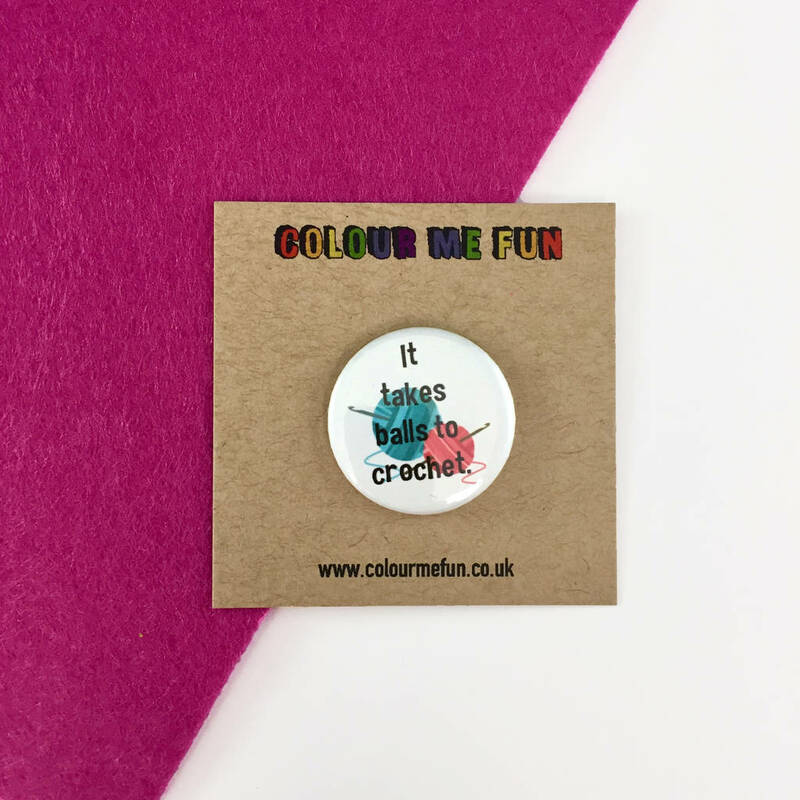 is little crochet gift - the perfect little accessories for any bag, coat, or jumper. 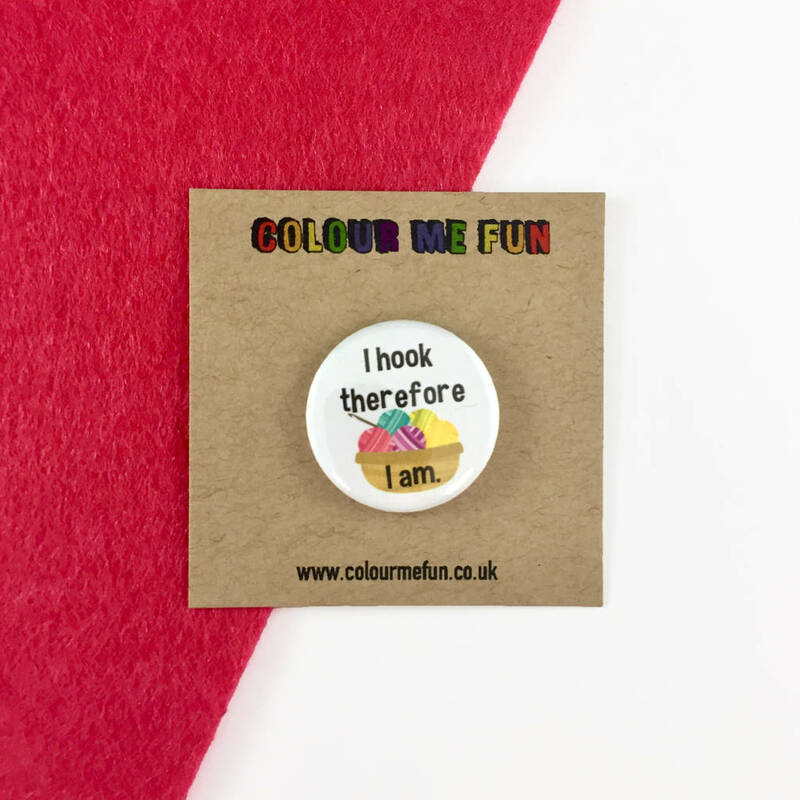 Wear these pinback buttons proudly to your crochet group and be the cool kid that they are all envious of. 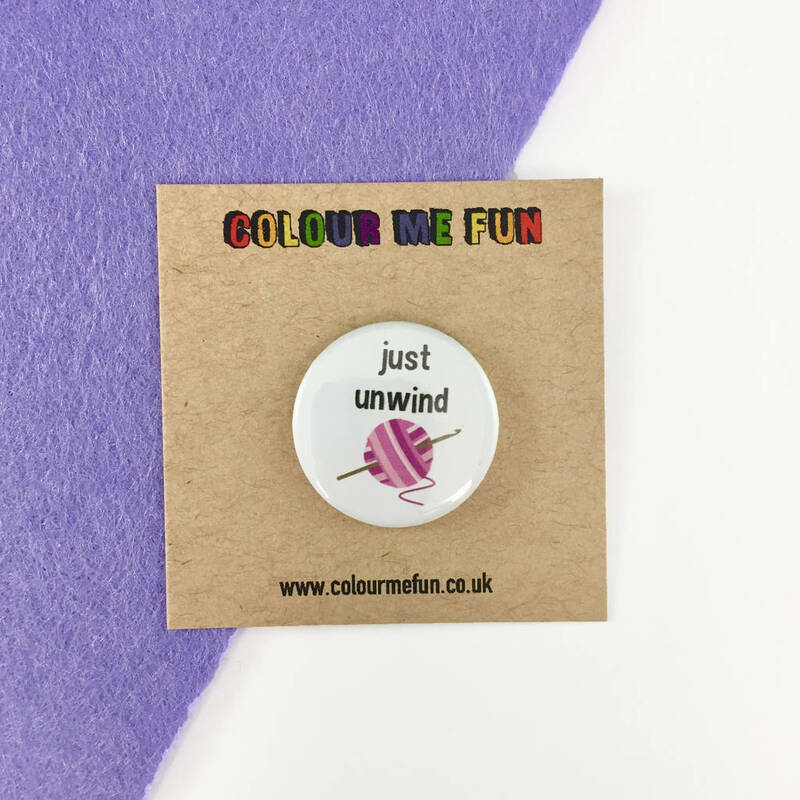 Each funny pin will make all those with crafty hands give you a knowing smile. They also make a perfect crocheting gift for any goodie bag, grab bag or subscription box. 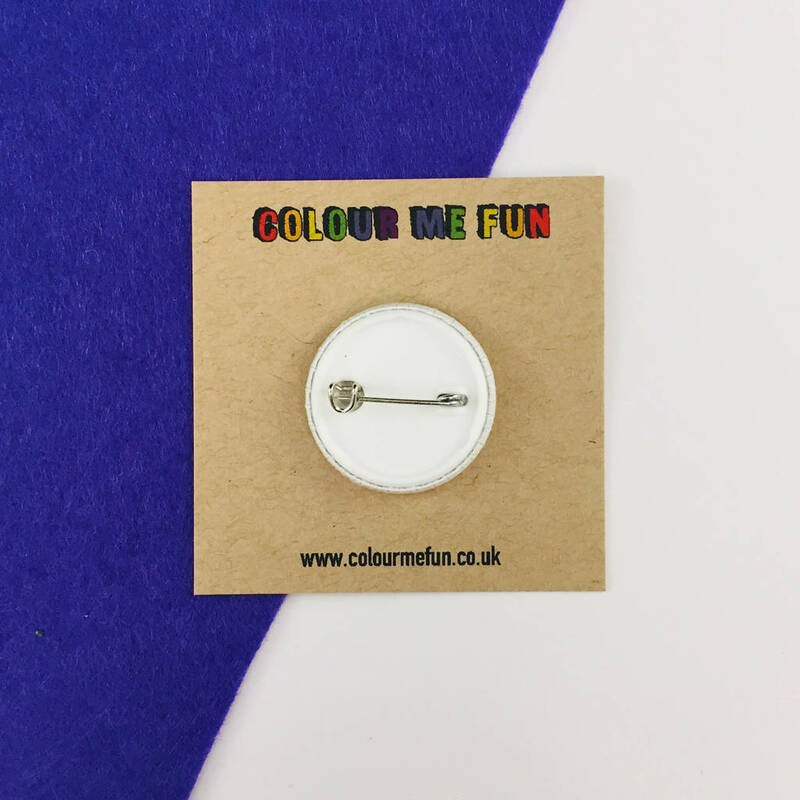 Each pin badge comes card backed, as shown. Plastic backed so it'll never go rusty, even if you accidentally put it through the wash!